Tuesday’s football match at Estadio de la Romareda pits together Zaragoza and Valencia. 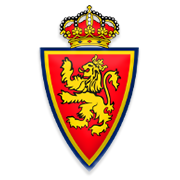 The 2017/2018 Segunda Division campaign has been a mixed bag for Zaragoza so far and, as a result, they sit in the middle of the table ahead of the visit of Valencia. Los Che, on the other hand, have been scoring goals for fun in the Spanish elite division this term and it has to be noted that they rolled over Real Betis (6-3) in their last away game in the national championship. Valencia are likely to stick to their attacking style of play against Zaragoza and we predict that the La Liga side will emerge triumphant in the opening match of their Copa del Rey campaign. Former Villarreal coach Marcelino is doing a great job with Valencia and we would not be surprised if los Che go all the way in the Spanish Cup this season.